It is not the idea, but rather the business model that you button up makes the difference and has a huge impact on the success of the business. There are various business models and ideas available and are successfully followed by the companies that achieved culminating success. Regardless of how great your business plan is, for sure you will run it into bankruptcy without a proper and strong business model. So, it is very much important to have a stronger business model or a vogue business model to have the success at your end. 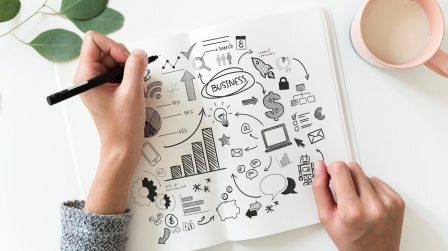 List of a few most prominent and in-trend business models in 2018 To consider for a start-up. This model is followed by the service providing companies on a very large scale. This model does not involve product owning or selling; all it requires is a partnership, co-branding of the products, which the independent users own. With the marketing, you need to drive the traffic to set a standard for the products. The product’s quality and consistent user-experience are all that are prioritized in this model. Example: Uber and Oyo; neither does Uber own the vehicles nor Oyo rooms own the hotel, but they provide their services with certain standardizations under the trusted brands. It is the modish middleman model. In the Marketplace model, you create a platform for direct interaction between sellers and buyers while receiving a commission at your end when the deal is successful. Freelance companies follow this model s. Furthermore, even the e-commerce giants are planning to make a move from an inventory model to the marketplace model. Example: Freelance, where the corporate people offer the freelancer jobs and hire the freelancers directly. This is probably the break-out model of 2018. Because this is a fast-paced world and consumers have zero-patience, they want the service as quickly as they were able to pay for it. Implementing an on-demand model besides the membership model when providing a long-term service, is better for every entrepreneur with long-term service plans. The reverse auction model can opt for when you find the marketplace model very much crowded in the niche you chose. This model is very much customer-favored and success can be achieved in this model with just simple marketing strategies. This is a cost-effective model to get started with just a little investment. There are many platforms where the buyers post their requirements and aspects of enhancements in the products and the sellers compete with the price tags and services to meet the requirements of the buyers. It eliminates the monopoly of businesses and their high price charges. This model is still a minor player in the industry and is on the way to becoming viral. The Subscription model, introduced in 2014, is not considered new in the ecommerce ce industry because of the great boost it had since the introduction. The companies with these models have already reached great heights of success. The idea involves offering free services for the premium products, to let the audience try them out and know the quality of service; once the product garners enough attention, the service is charged and the customer has to gravitate or subscription plans. The subscription models involve recurring payments, which make it easier for the customers to make and receive the payments. The success of this model highly depends on the quality of the product as opposed to marketing. All the models listed above are universal and can be added to any other business model. Get fresh content. Unsubscribe at any time.